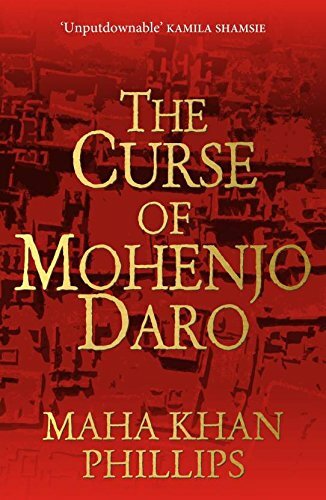 "Unputdownable," according to noted contemporary Pakistani writer Kamila Shamsie, this is a well-written, engaging story that switches back and forth between a modern excavation of Mohenjodaro and a storyline set in 3700 BCE, connected through a bloodstone with supernatural powers that, in the right hands, transcends time. The pace is fast, the author's liberties with facts are vast (she says as much in an Appendix), but it is nice to see how this city is inspiring ever more fictions, in print and film, all of which may slowly help bring attention (and funding?) to the study of the real ancient Indus peoples. The Curse of Mohenjodaro features Nadia, in search of her archaeologist sister Layla, who vanishes during a mysterious explosion during excavations at the site; the parallel story has a girl, Jaya, chosen to be part of a clan serving the corrupt ruler of Mohenjodaro, Iaf and his ilk, who are leading the city to the brink of disaster. There are glimpses of Game of Thrones and Rome in the shadows of the recreated city, and some nice imaginary touches. The rapid cuts between past and present are satisfying through the expected climax, which brings it all together, not to mention a good portion of Nadia's family history and the case of her demented father as well (any parallels to modern cults entirely coincidental). A well-told tale, with enough twists and turns to keep the reader on her or his toes.